When rattling off those successful under-30 artists that I admire/not-so-secretly envy, I forgot Karen Russell author of "Swamplandia!" which was one of three finalists for the 2012 Pulitzer Prize for fiction. 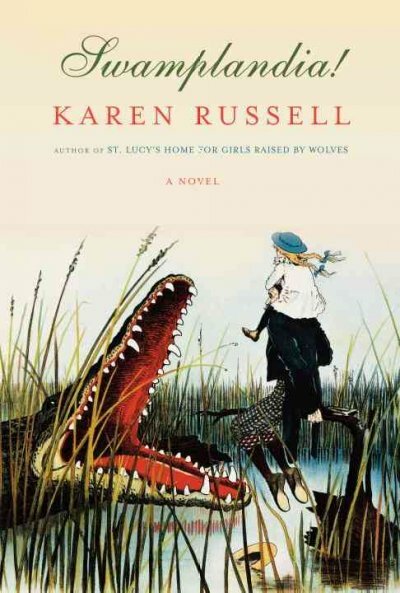 Pulitzer Prize final-ism aside, Russell crafted an original and otherworldly story about a family running a failing amusement park deep in the Florida Everglades. While I don't personally identify with alligator wrestling, love affairs with ghosts or life in a swamp (everything I read that involves Florida and its inhabitants is so strange -- coincidence? I think not), I do relate to the themes of loss and a family in crisis. And I so identified with lonely 13-year-old Ava, who desperately wants her family to be OK and will do whatever she can to try to mend the fissures that have separated her father, brother and sister in the wake of her mother's death. I don't know how Russell came up with the Bird Man and his oily feathered coat or the World of Darkness (a hell-themed amusement park) -- but she knows how to create unsettling settings and characters. I still get goosebumps when I think about the tale of the Dredgemen's Revelation and that flock of vultures, and I read the book months ago. Anyway, Russell was named one of five under 35 by the National Book Foundation. I guess there's still time to make that list -- although with potty training on the horizon, it's not looking likely.